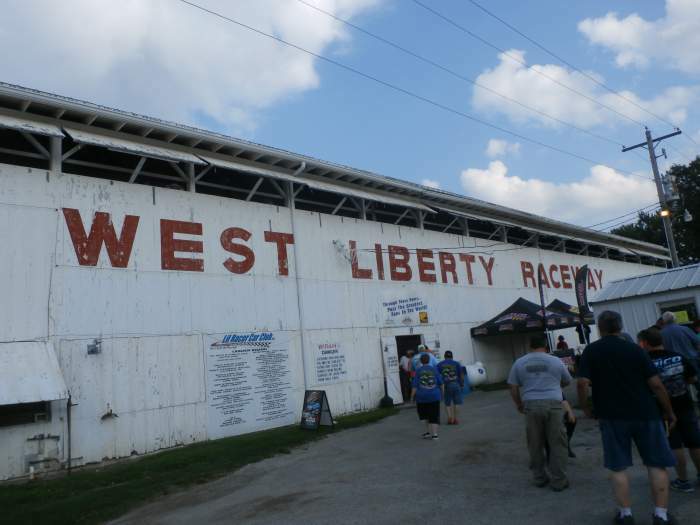 Location - The track is the centerpiece in the town West Liberty. Located in the state of Iowa it's south-east of Iowa City and Cedar Rapids whilst also being to the West of Davenport. You will likely access the track via either the turnoff from I-80 or the more direct US-6. The track is on the south-western side of the town ans you could probably find it without directions such is the size of West Liberty. Parking - Was located behind the main grandstand. There were a number of small roads going through the carpark which I imagine aid ease of parking. 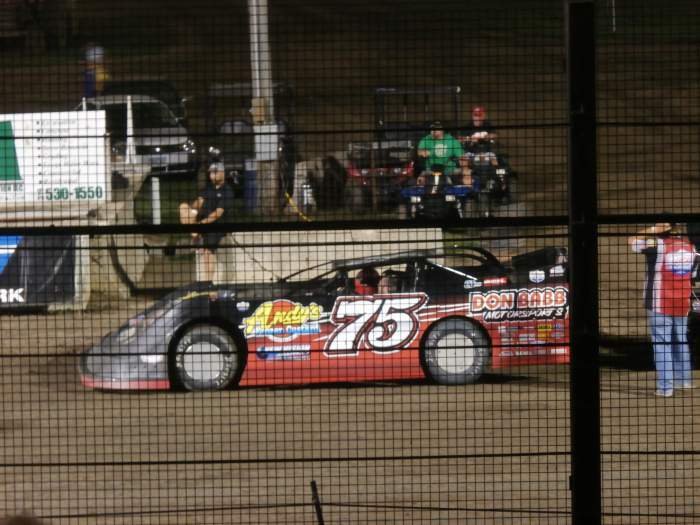 Premiere Meeting - Late Models take centre stage so the Mid-West Late Model series is probably the premiere meeting. Either that or the end of season Liberty 100. 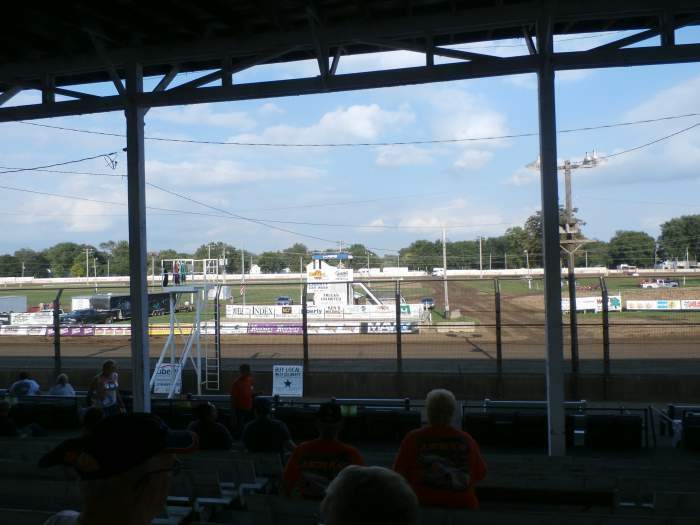 Also worth attending - The track really comes to life during the West Liberty fair. 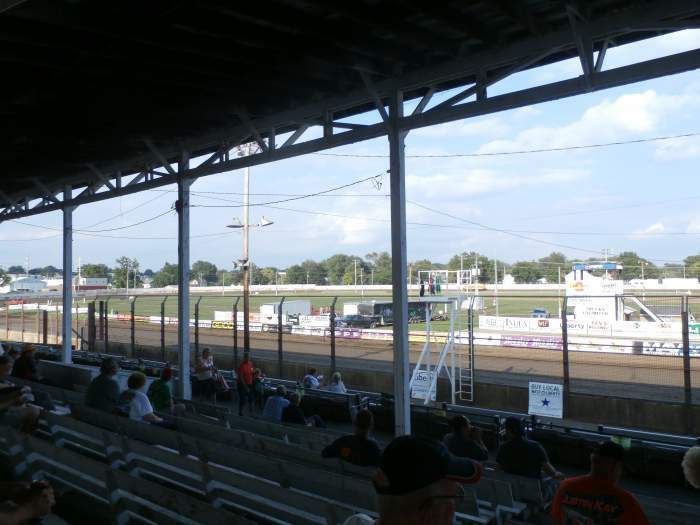 A different event is held for five straight nights including tractor pulling, concerts, the weekly racing show and a demolition derby. Best spot to sit - There aren't a huge range of options for seating. 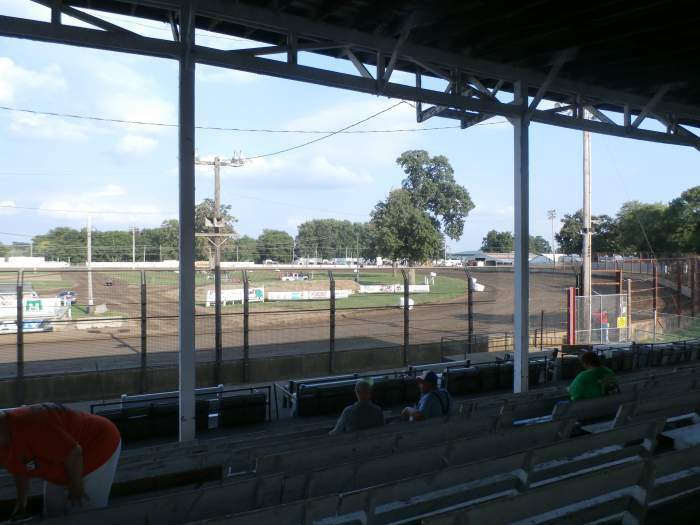 The large main grandstand has seen better days and you're likely to get a stray pole or two blocking your view. Down the town end of the grandstand was some uncovered seating which might be the better option. 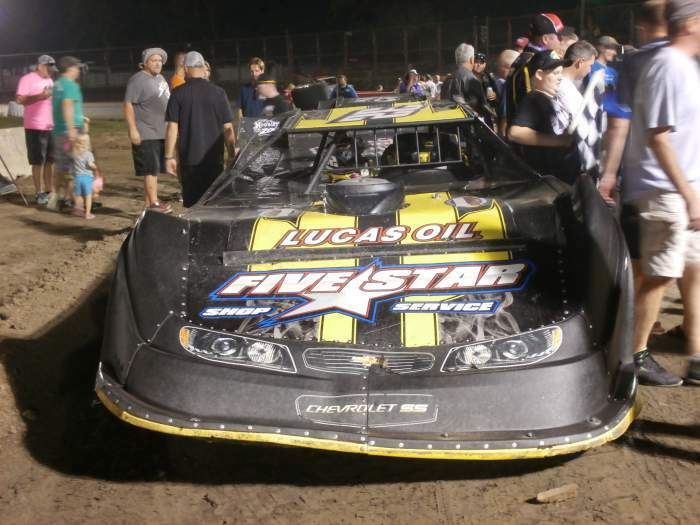 Classes run - Late Models, US Modifides, US Stock Cars, Sportmods, Sport Compacts. Uniqueness - Like most Iowa tracks this half mile looks to have an excellent track surface. It's just the right width for it's size, offering good racing lines without being so wide as to lose elbow to elbow racing. 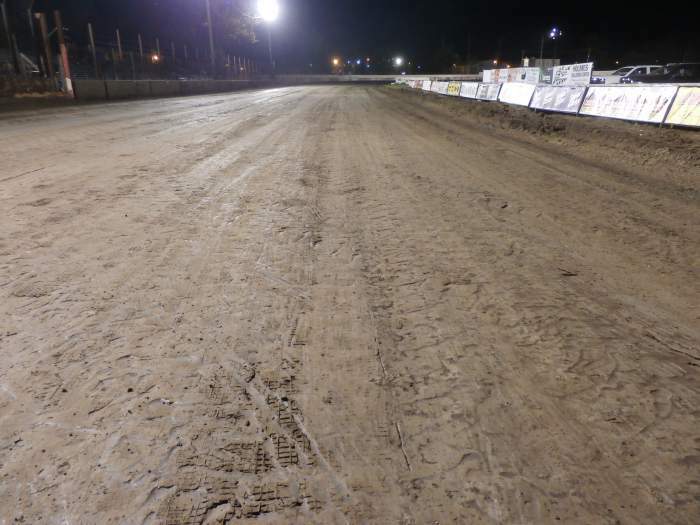 The infield is plenty big enough and was well utilised when Percy visited to speed up the running of the show. Oddly there were a few fully grown trees scattered on the infield through turns 1 and 2. Who says racing and nature can't mix?